Chase Elliott got loose Saturday in the Clash practice causing wreck. A four-car wreck took place with 45 minutes left in Saturday's practice for the Advance Auto Parts Clash, and involved Chase Elliott, Denny Hamlin, Kevin Harvick and Ryan Newman. The incident, which resulted in a red flag, occurred on the backstretch and began when Elliott tried to move in front of Newman's No. 6 Ford. Bubba Wallace was fastest during second practice. 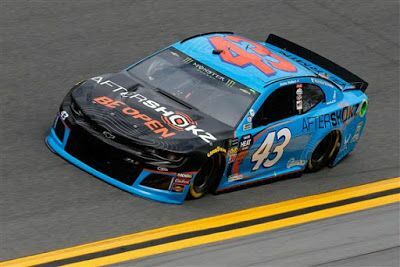 Bubba Wallace topped the speed chart in Saturday's second Daytona 500 practice session with a top speed of 195.020 mph. The top five was completed by David Ragan , Ricky Stenhouse Jr. and Paul Menard . Martin Truex Jr. was fastest in the day's first Daytona 500 practice session.